The devastating earthquake that struck Pakistan-administered Kashmir in October 2005 resulted in the loss of more than 80,000 lives with more than 41,000 injured. Entire villages were destroyed, leaving survivors homeless with little or nothing to protect them from the imminent winter. Mercy Relief focused its attention primarily on the Muzaffarabad region which had been hardest hit and accounted for 70 per cent of the casualties. Mercy Relief coordinated with SGH to send a six-man preliminary medical team to Muzaffarabad; in total, four medical relief missions and one logistics team were deployed ground during the response period. 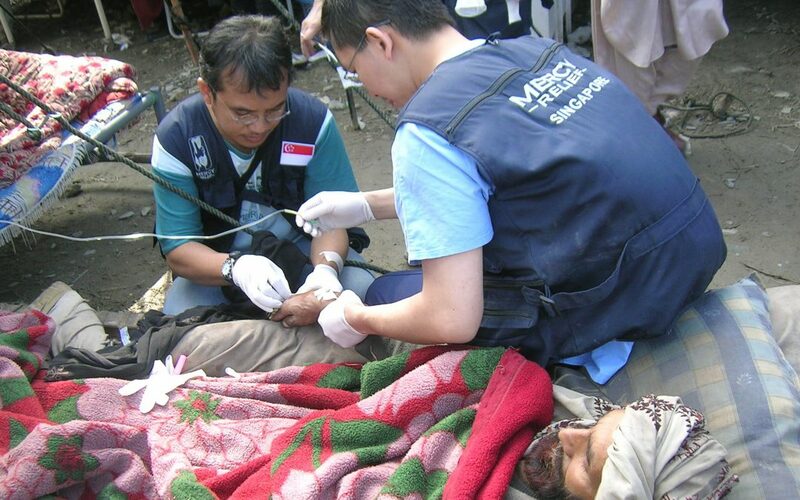 Each team spent an average of two-weeks at their designated field hospital attending to survivors, mainly attending to paediatric, orthopaedic and infection cases.